Professionally repairing your commercial insulation is a fantastic way to make sure your building stays up to code and is maintaining its energy efficiency. Cracks, gaps or leaks can appear in insulation for many reasons, some of them controllable and others not so much. Atlanta’s environment, climate, weather patterns, correct R-Value insulate material, building structure and foundation material can all play a role in the deterioration of your building’s insulation. Let Action Brothers trained commercial insulation professionals come in to assess the damage, formulate a plan tailored to your unique situation, and help you meet the highest industry standards. What Happens to Unrepaired Leaks? Unrepaired air leaks, gaps, or cracks in your commercial insulation can be costing you—literally. Multiple tears in insulation cause your HVAC system to function inefficiently, leaking air conditioned or hot air into your Atlanta-based building and causing uncomfortable drafts. If there are hot water pipes running through the insulated space, leaks can result in an accumulation of cold air and lead to pockets of moisture and condensation, leaving your building vulnerable to a mold or mildew infestation to which Atlanta is especially prone. A great way to avoid problems like these from spiraling beyond repair is to contact the insulation contractors at Action Brothers of Atlanta and schedule routine inspections. If any tears, large or small, are found in your Atlanta building, our team of trained professionals can go in and repair them with minimal impact to the building and little to no disturbance. The repairs made on air leaks in your Atlanta commercial insulation will depend on whether the building is equipped with blow-in, batt or spray foam insulation. Pre-existing batt and foam insulation will make for the easiest and most efficient repairs for our Atlanta-based team of insulation contractors. Batted insulation comes in bales of pre-packaged insulate, therefore gaps or tears in this insulation can either be mended with sealant if they’re small enough, re-filled with an appropriate amount of batt material if they’re slightly larger, or in the case of a severe rip, the afflicted batts can easily be replaced without having to remove the rest of the insulation. Blown-in insulation presents a slight challenge as it’s relatively uncontained. If you find that blown insulation isn’t serving your needs, more of the same material can simply be blown into the space with a mechanical blower in the attempt to further insulate it. Don’t let your building go too long without being inspected! Nervous About Insulation Repair? Let Action Brothers Help! There’s no need to get stressed out if your building needs insulation repairs; Action Brothers of Atlanta’s professional insulation contractors are ready to visit your commercial building, do a thorough and efficient assessment of the space, and offer you the high quality and professional advice and repair work that makes us one of Atlanta’s most trusted insulation companies! 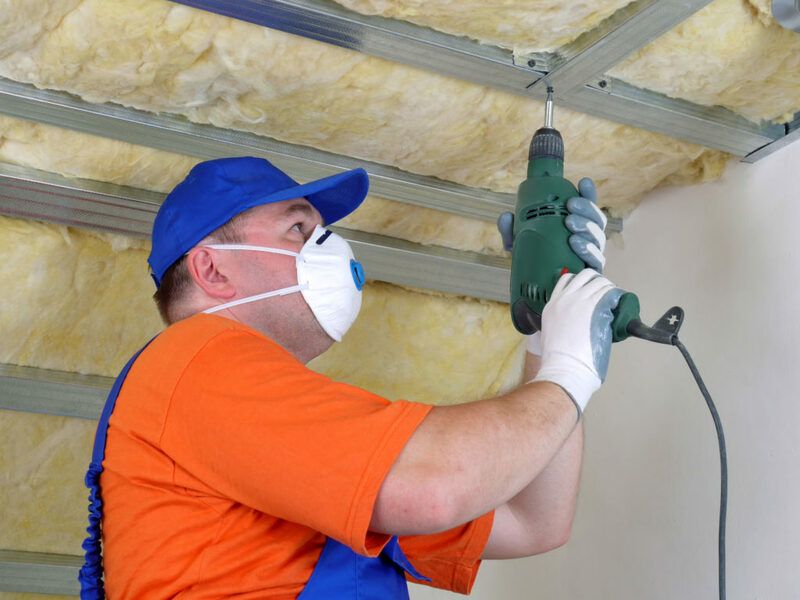 Don’t leave your building’s insulation repair to just anyone—hire our local Atlanta insulation contractors and receive only the highest quality service.